Looking for a quick, effective, affordable and aesthetic way to address mis-alignment of teeth in the patient's smile zone, cuspid to cuspid? Cfast treatment is done considerably faster than traditional comprehensive orthodontic treatment, but often allows you to conservatively address your patients aesthetic wants. Cfast can also be a profit center for your practice as it is very easy to learn and implement. Dr. Miyasaki will review the highlights of this treatment. If you are interested in more detailed CFast training on HDiQ Dental, email info@smiles.com or call 800-725-2327. Understand the what limited ortho can offer your patients and why they might consider it. Verbalize the biomechanical mechanism and movements which allow cosmetically focused adult tooth movement to occur quickly without compromising the health of the teeth and supporting periodontium. Discuss the applications for cosmetically focused adult tooth movement. Understand and overview of the clinical techniques and skills necessary to remove the orthodontic appliances and select the proper form of post-orthodontic retention. Describe how to integrate limited orthodontics into your practice. Dr. Miyasaki reviews what CFast is and why patients want this type of treatment. 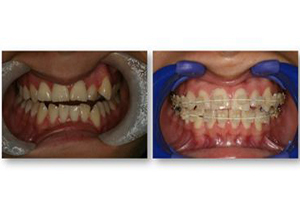 Dr. Miyasaki shares cases where CFast has enhanced the patient's smile. Dr. Miyasaki discusses CFast works and on what patients it is applicable. Dr. Miyasaki discusses how to incorporate CFast into your practice.